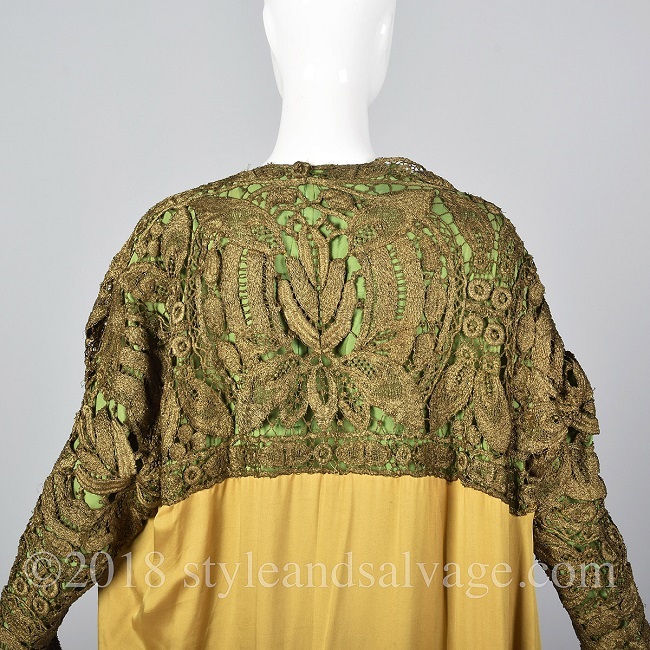 Several months ago I posted that the Fashion History Museum was raising funds to acquire an evening coat by Paul Poiret. Thanks to all who helped with the fundraising (and that included around $600 donated by The Vintage Traveler readers) the coat was added to the museum’s collection, and is now on display in their latest exhibition, Made in France. 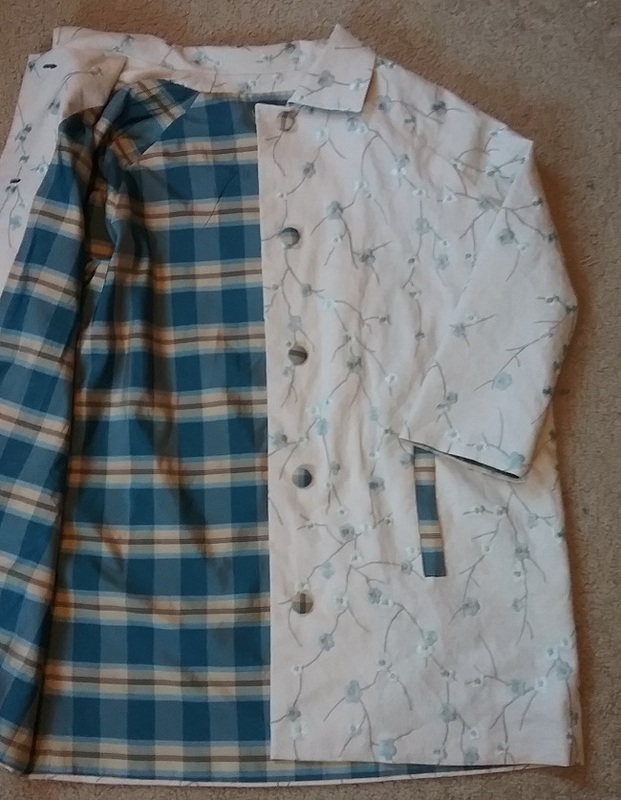 I was lucky to be able to see and examine the coat as, believe it or not, this coat was found here in North Carolina! The story begins last spring, when Jonathan and Kenn from the museum traveled south from Ontario to deliver their Lucile dress to a small exhibition at a local Titanic attraction. They then spent the afternoon with me, viewing my collection and talking fashion history. 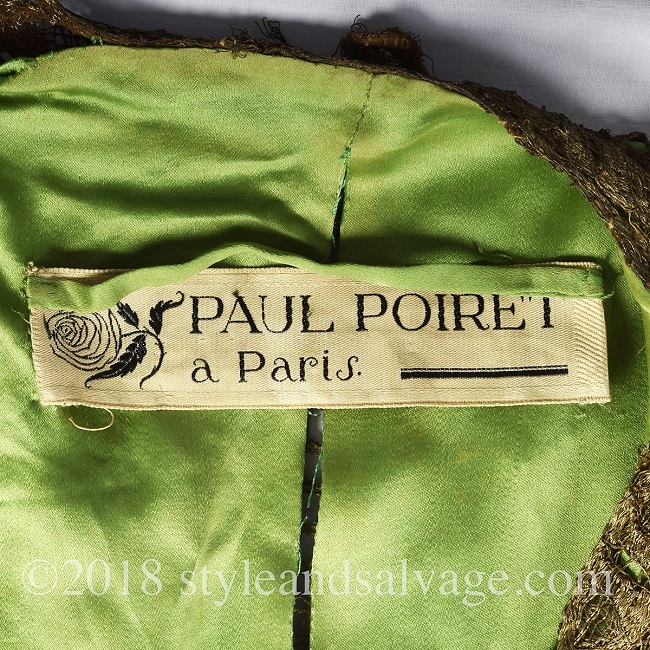 They mentioned that they had an appointment in Asheville to see a Poiret coat, which really floored me. As it turned out, the coat was in the possession of Melinda and Jeff of Style and Salvage Vintage, whose business is located here in my little town of Clyde. I didn’t know them at the time, but Jonathan put us in touch, and I eagerly took up their invitation to go to their business and see the coat. 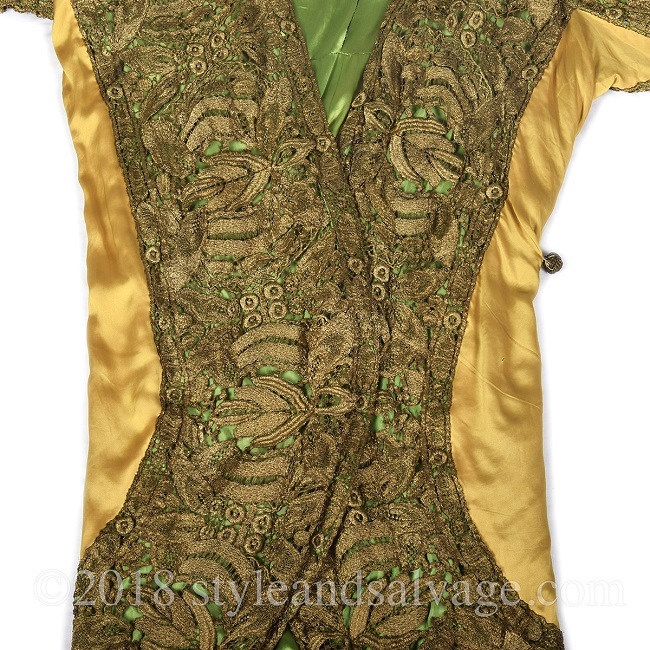 It is a simply stunning garment, beautiful in photographs that don’t fully show just how great an object it is. 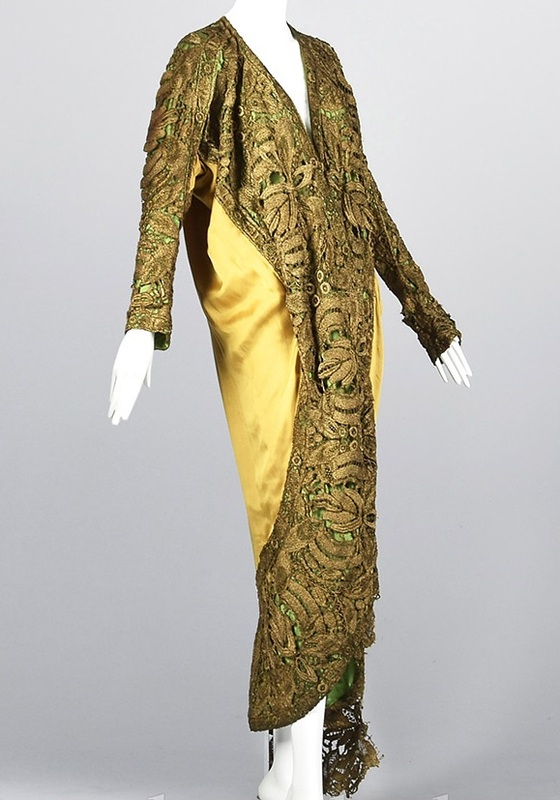 The gold bits are metallic lace, that wonderful substance that was so prized in the 1910s and 1920s. 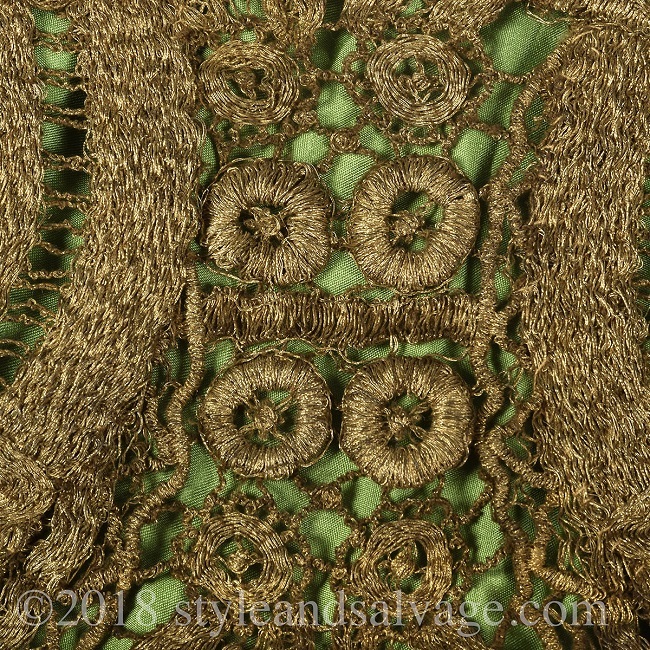 The exterior of the coat is gold silk, and the interior, which shows through the lace, is the most luscious shade of green. So how did such a rare object come to be in Western North Carolina. I won’t give the details, but Melinda and Jeff were at a sale that advertised old clothes and costumes. Not known for being shy, Jeff asked the seller if there were other garments not currently in the sale. The answer was yes, there were more, and so arrangements were made to view the rest of the clothing. 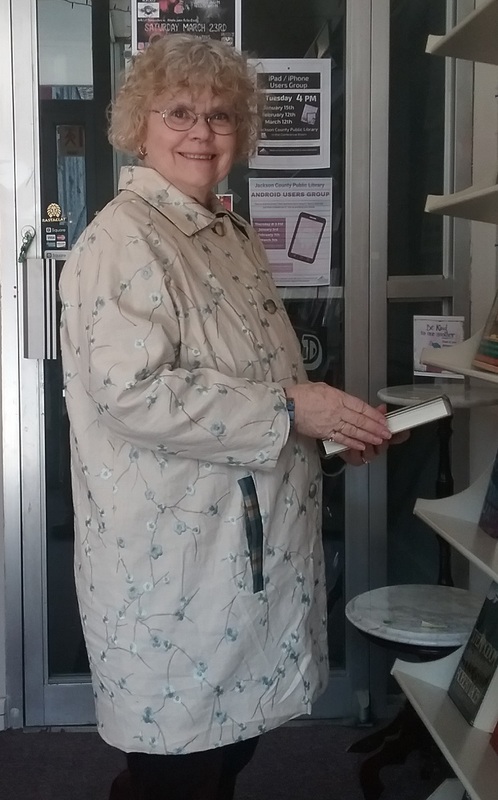 While going through the racks, Melinda spotted the gold lace, held her breath, and pulled the coat out. She already knew it was special, but I would have loved to have seen her face at the moment she spotted that label! The seller, who was working on behalf of an organization that actually owned the clothes, agreed to let Melinda and Jeff take the coat on consignment. They then set about searching for the perfect buyer for the coat. That led them to contact Jonathan and Kenn,who after seeing the coat, put it on hold and began fund-raising. This February they again traveled south, and this time returned home with this very special garment. 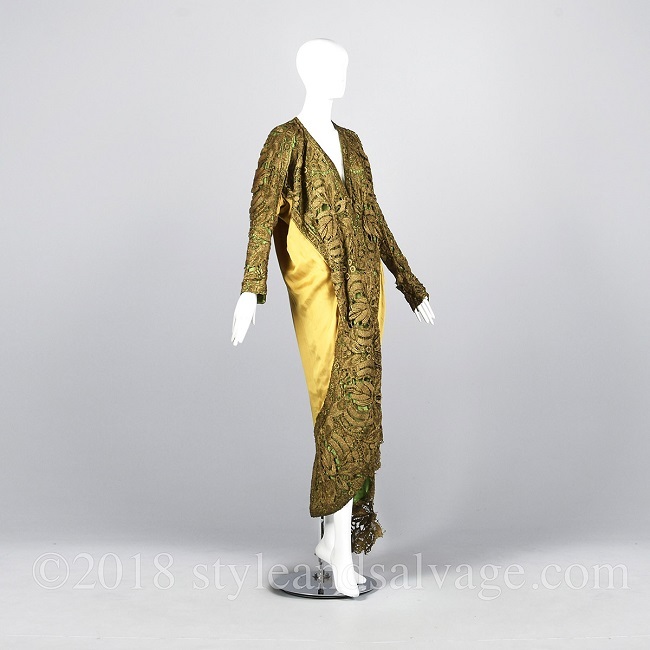 After a bit of restoration, the coat can now be enjoyed all all who are lucky enough to visit the Fashion History Museum this spring and summer. 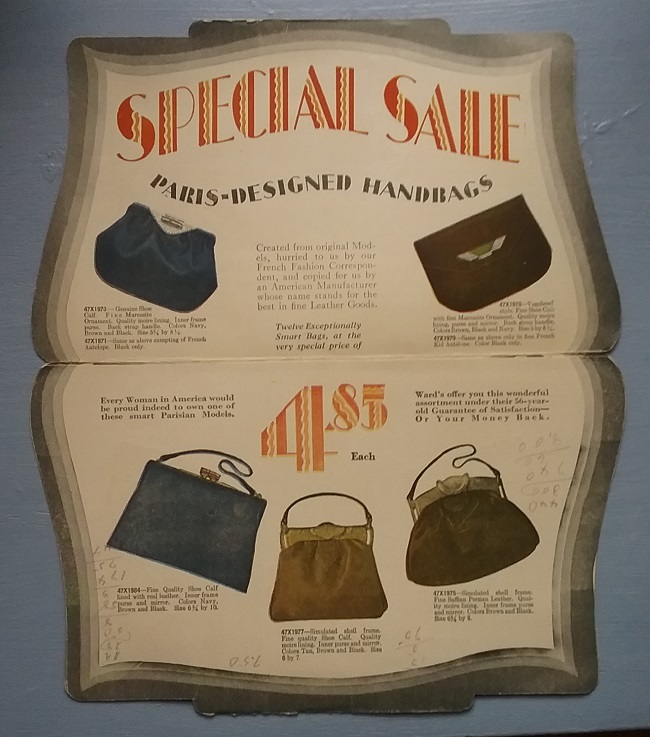 It just goes to show that there are still marvelous things still hiding in attics and warehouses and who-knows-where else. My thanks to Melinda and Jeff for sharing this story, and for letting me use their photos. That’s Ma in the middle, surrounded by Hella, Ruza, and Nebbs. The date wasn’t recorded, but I’d say right around 1940. Ma has decided that she is going for comfort over fashion, though I’d love to know the color of her dress. 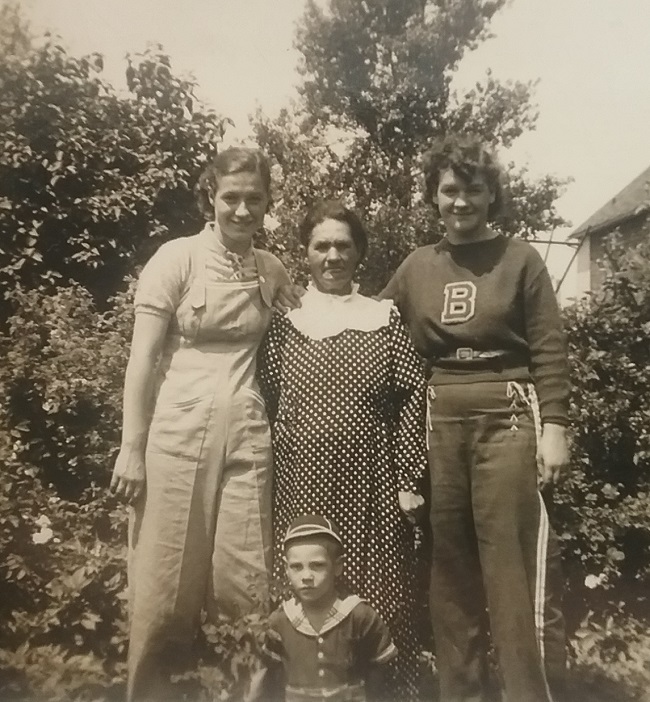 Hella is wearing the ubiquitous blue overalls of the era, so great for gardening and outdoors work of all kinds. Sporty Ruza has earned a letter for her sweater paired with a fantastic pair of nautical inspired trousers. And little Nebbs is attired in what was almost a uniform for little boys, a sailor suit. The young women’s clothes are currently having a bit of popularity, with the overalls in particular being a hot item. I have been lucky to have found two pairs in the past, which is especially good because today I’d have to pay a small fortune for a pair. If you love the look, a pattern is available from Decades of Style. Does digital overload have a connection to the current popularity of fashion exhibitions? “I want people to understand that you don’t have to understand or even agree with other people’s authenticity or truths, but we must all respect each other.” Billy Porter on his Oscar ensemble. Yes, women did climb mountains in long skirts. And, yes, they are still doing it. Fashion forensics is a real thing. A new Edx course by Laurel Thatcher Ulrich is coming up in May. Women Making History: Ten Objects, Many Stories. Twitter helped save thirty tons of buttons from going to the garbage dump. What can museums do when they have too much stuff? The thrift store is not an option for museums, but they are reaping the fruits of all the Marie Kondoing in private residences. I’m glad I’m not the only person who thinks all hipsters look alike. In praise of museum seating. Cycling in the City: A 200–Year History, is on view at the Museum of the City of New York through October 6, 2019. Most of my actual shopping lately has been of the online variety. I have been looking locally, but not very much. Between a bit of redecorating my office and a few minor health glitches (bad cold and stubborn back pain) I’ve spent more time at home than usual. 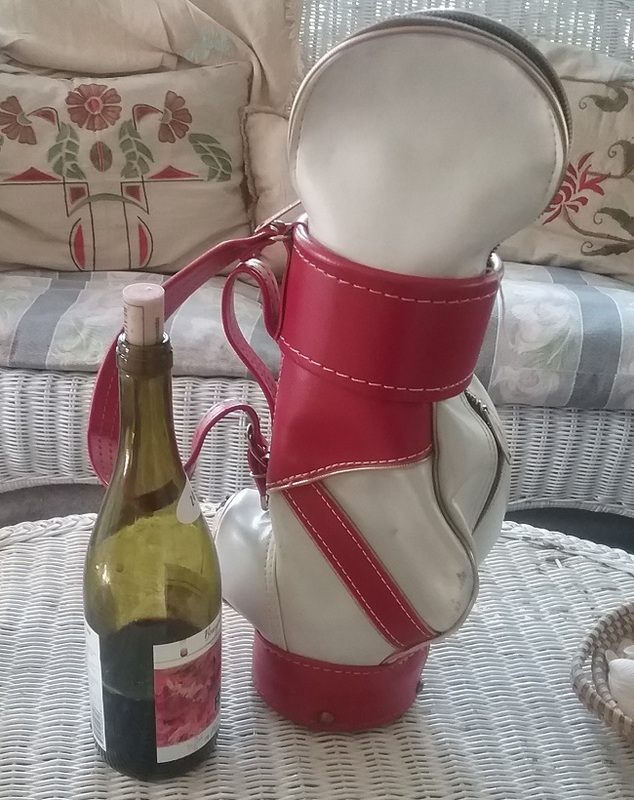 I am, like most of the rest of the Northern Hemisphere, ready for spring and flea market season. 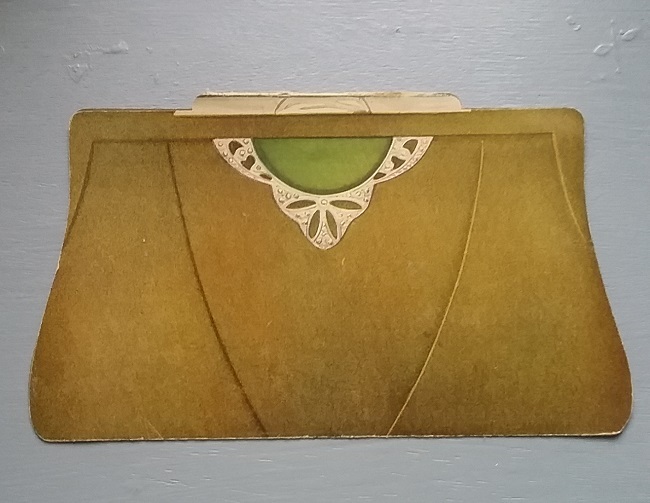 But I have spotted a few things that I thought were interesting, though the office clean-out has made me pickier when actually buying. So here’s what I saw, but did not buy. 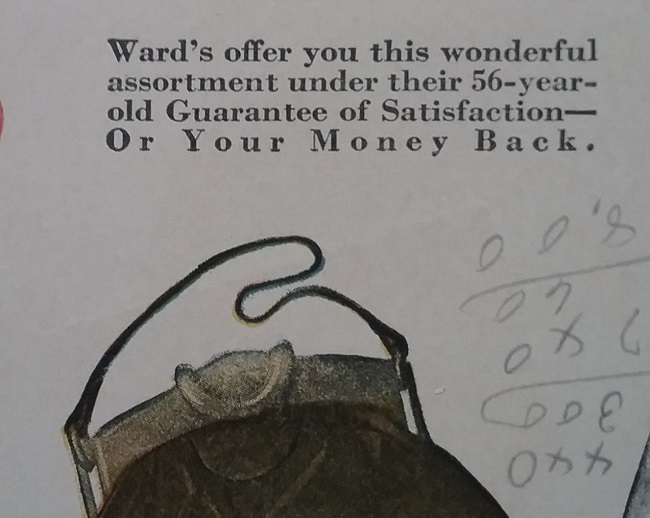 The illustration above is from a 1917 catalog for men’s suit salesmen. The lady is perfectly dressed in a sporty ensemble. But why isn’t he in uniform? Navy must not have been playing Army. And what about that goat mascot? The tradition of Navy having a live goat mascot goes back to 1893. There seems to be a collegiate theme to today’s post. 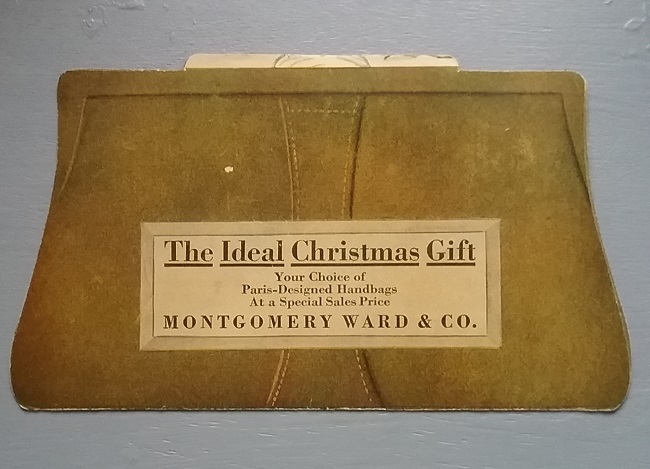 In the first two decades of the 20th century, postcard collecting was a popular hobby, and so postcards for every subject were made. College cards were often illustrated with young women along with a sports theme. 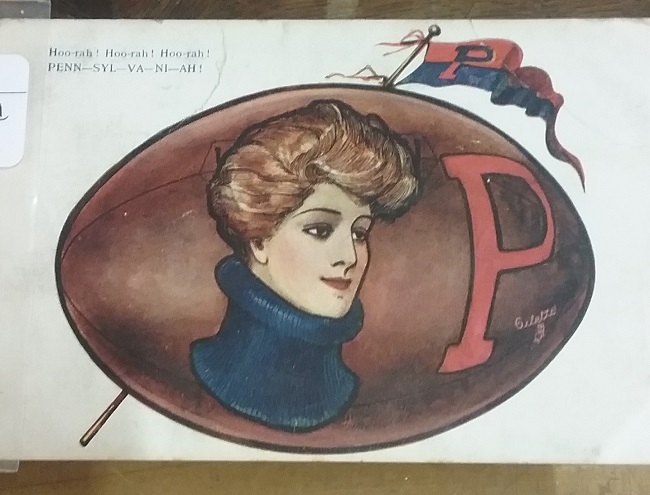 At the time this card was made, circa 1906, women were admitted to Penn, but there were no sports teams for them, and certainly not football. They were allowed to watch. 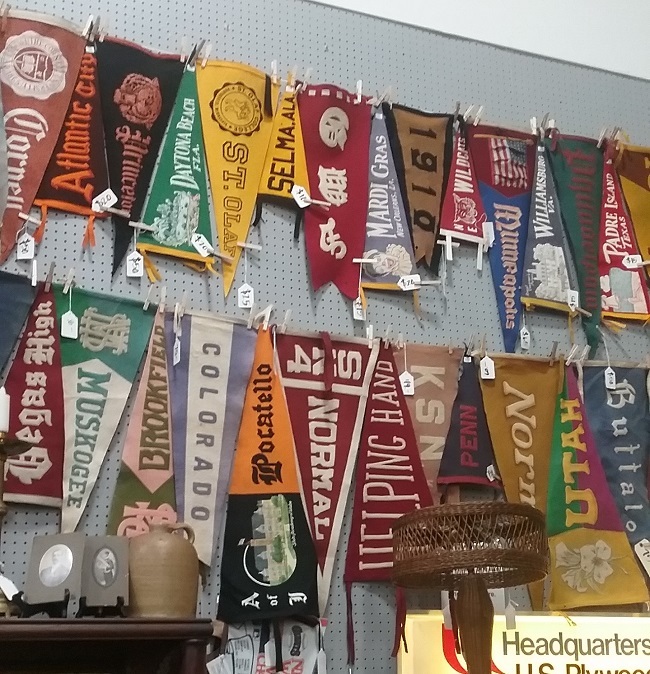 Continuing with the college angle, here was a whole wall of pennants, some school related, others having been bought by tourists. 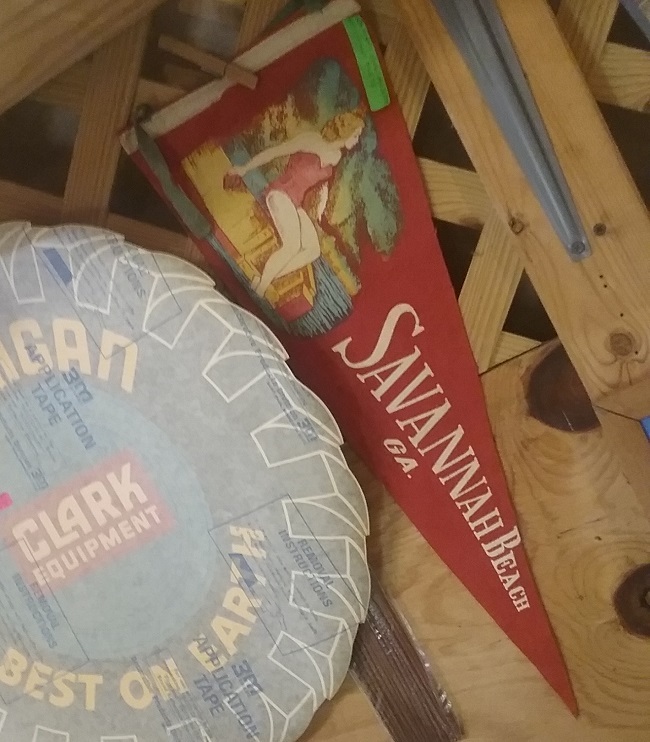 I had never heard of Savannah Beach, and can’t find a reference to it today. The nearest beach to Savannah is Tybee Island. 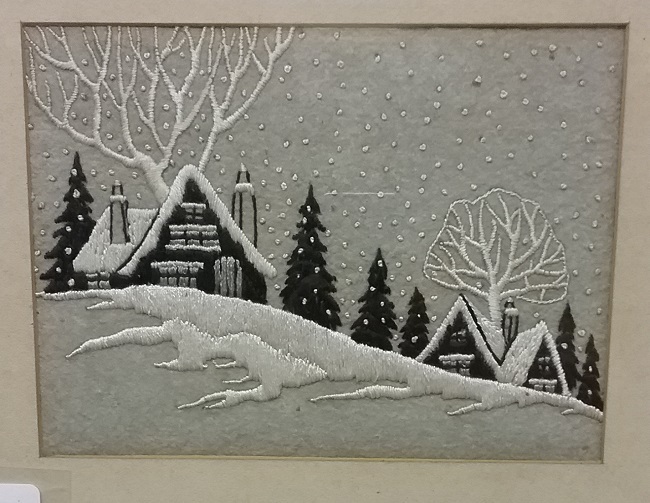 This bit of needlework reminds me of a 1930s Christmas card. 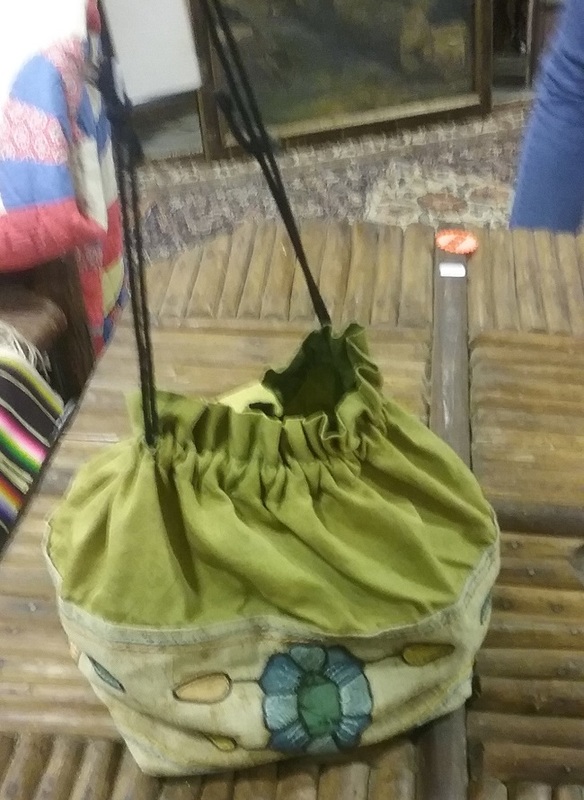 I almost bought this Arts and Crafts bag. I thought it was a bit overpriced, and so I left it. I did start thinking about it later and had a bit of non-buyer’s remorse. 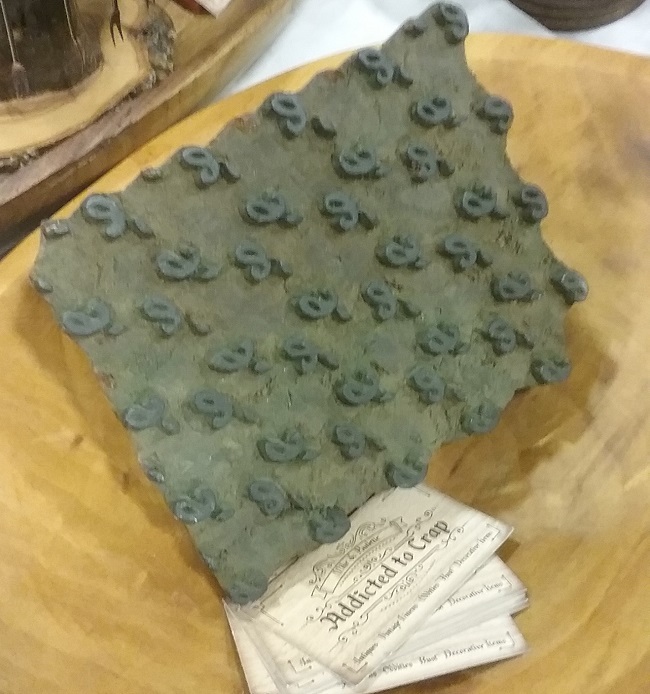 This is a block used to print textiles. These are still in use today in parts of Asia, and so I have no idea how old it actually is. Still, it’s an item I never see and so I enjoyed it, even though the seller thought it was crap. Japanese women meet psychedelic print. This sort of thing was common in the late 1960s and early 1970s, due partly to the popularity of Peter Max. 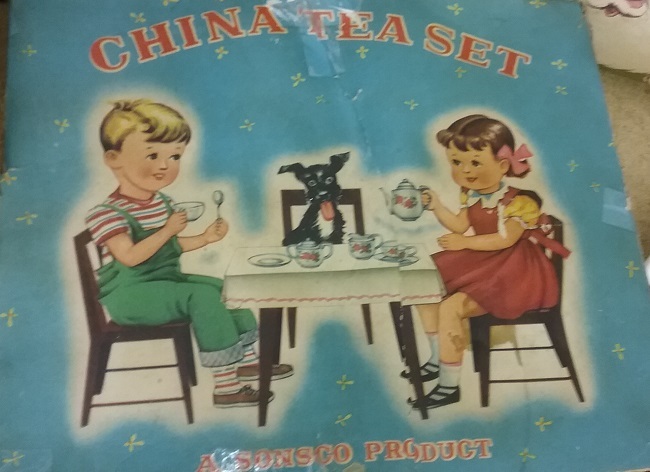 Always invite the dog to your tea parties. 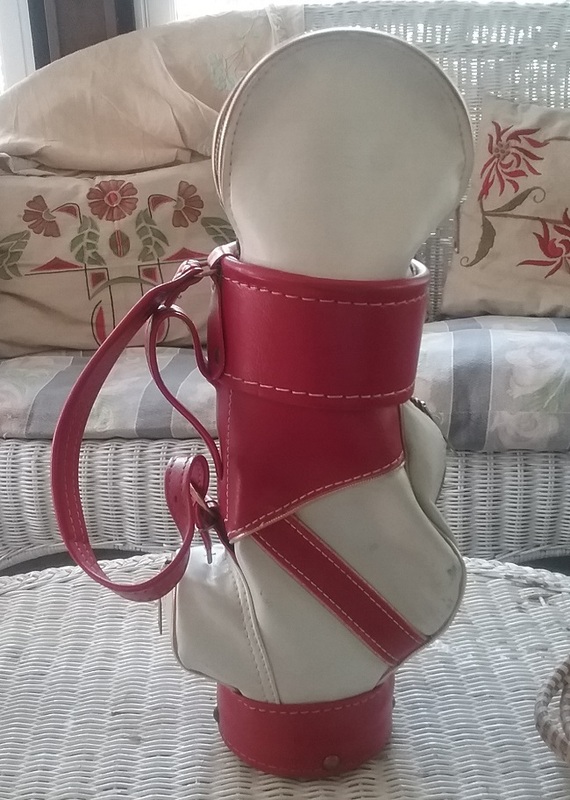 Here’s a good example of vintage “up-cycling”. 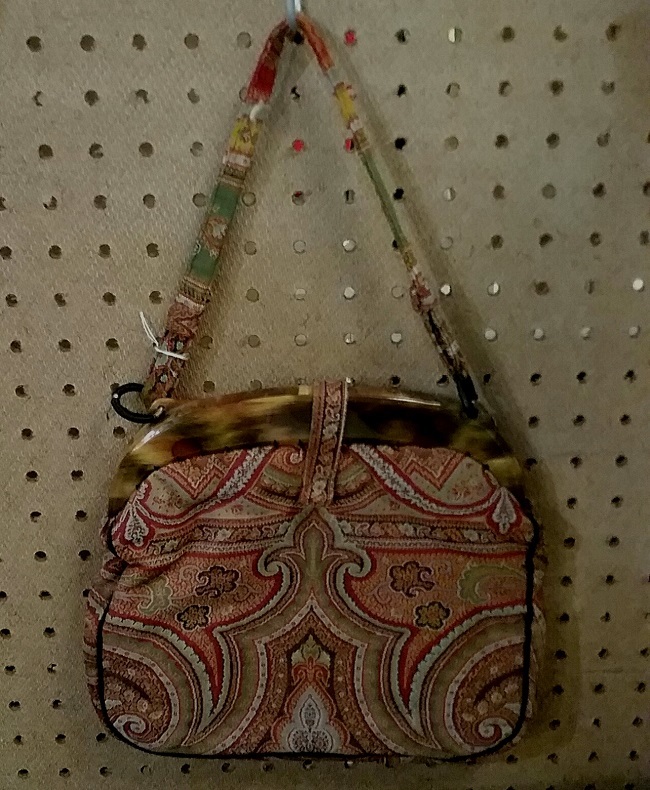 I have seen antique paisley shawls turned into dresses and robes and even quilts, but this is the first handbag I’ve ever found. This was another “almost” purchase. 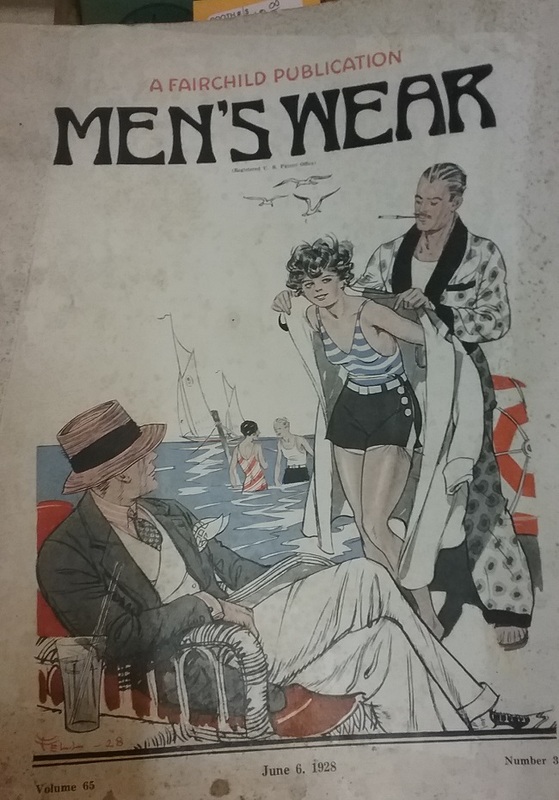 Anyone who collects vintage menswear needs to seek out copies of this magazine. It is excellent. 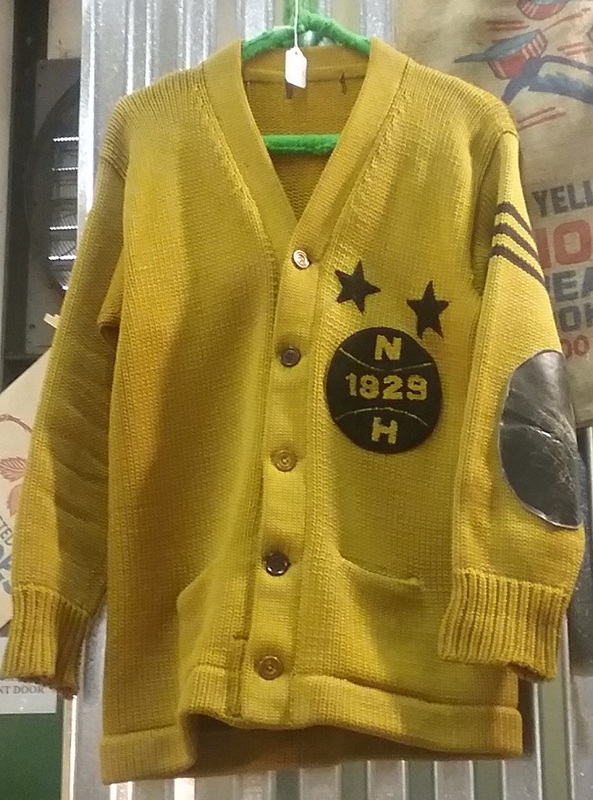 If not for the patch I would have thought this cardigan dated from the 1930s or 30s. All the older ones I’ve seen are a slightly different style. Live and learn. It’s not just a purse, it is also a muff! 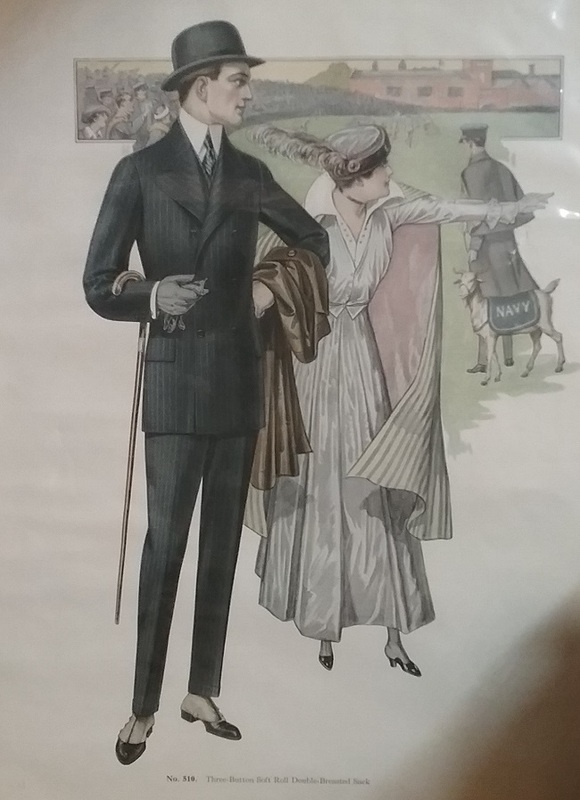 One of the on-going themes here at The Vintage Traveler is fashion exhibition, and what works (for me, at least) and what does not. I come to this conversation purely as a consumer of exhibitions, not as a scholar of the subject, nor as a maker of exhibitions. 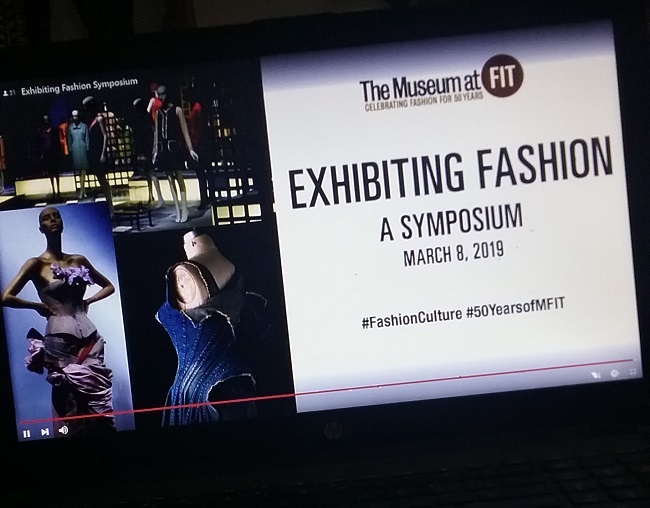 So I was pretty excited when the theme of this year’s Museum at FIT symposium was Exhibiting Fashion. Because the symposiums are live-streamed, I had planned to take it all in last Friday. If you missed it, then you are in luck, because you can still view all the talks and discussions. There are six hours of content, so you may not want to watch it all. Some of the talks are more relevant than others. You’ll know within a few minutes of watching one if viewing it is of interest to you. I’m not going to attempt to go into all the topics that were discussed, as that would take an entire book. But there were so many things said that really resonated with me, and there were a few things that I wish had been said that were not. If you know Valerie Steele (curator at the museum) from her writings and interviews, you know that she has a few opinions about what makes a great exhibition. I’ve heard her say on numerous occasions (including in the symposium) that an exhibition has to be more than just a display of pretty dresses. And while I have no problem at all in spending a few hours looking at pretty dresses, fashion display has certainly moved past that mindset. Much was said about how to translate the behind the scenes research into a visual display. While it is always possible to just lay it all out in the display notes, once an exhibition designer gets too wordy, then I’ve noticed that people stop reading. What is more effective is for the exhibition designer to evoke a context to which the viewer can relate. The use of everything from props, hair and makeup, Mise-en-scène , and juxtapositions can add meaning without a word being written. But to paraphrase Lou Taylor, it really all comes down to the garment itself. The exhibition rises or falls on the selection of what is shown. Several of the speakers touched on the point that I always try to make, and that is an exhibition does not need to be a huge production designed to pull in massive crowds (that is, to generate a lot of income for the museum) in order to be a fantastic experience. The small and more intimate exhibition can lead to insights not possible when you are jostling for position with hundreds of other viewers. I was hoping someone would mention the huge walls of mannequins, three and four tiers high, with dresses that are impossible to see past the basic silhouette and a bit of sparkle. Unfortunately, that practice is left to me to say just how much I hate this trend in fashion exhibition. As Lou Taylor said, it all comes down to the garment, so what’s the point if the garment can’t be properly seen. A lot was said about museum exhibitions as entertainment, as opposed to the museum as a place of education. As a former educator, I can tell you that the two are not mutually exclusive, and several presenters made the same point. Yes, fashion exhibitions are entertainment, at least they are to me. At the same time, I love leaving an exhibition with a new insight or bit of knowledge. Another point that was briefly hinted at was the fine line between getting a point across and beating the museum goers over the head with the point. The best example I’ve seen of going too far was the Met’s 2013 exhibition on Punk. I’ll not rehash it here, as I wrote a review. Still, I hate leaving an exhibition feeling battered. If you only have time for some quick viewing, I suggest you look at Julia Petrov’s talk on the history of fashion display. It’s fascinating. It starts at 55 minutes into the symposium. 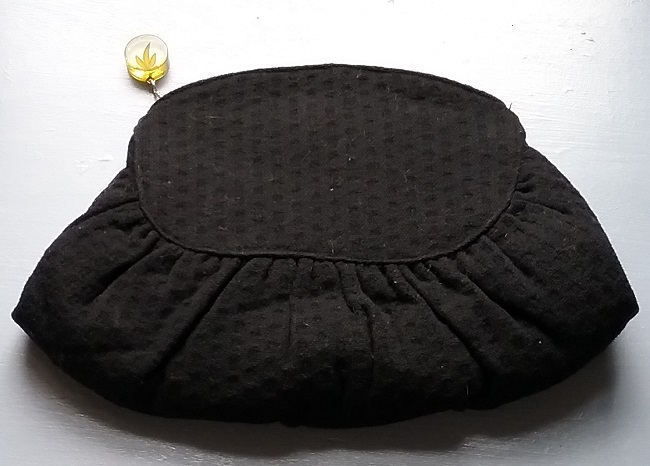 I can’t believe it has been so long since I shared a sewing project. That may be because I haven’t been sewing, except to make repairs and alterations. But a recent cold kept me at home and I needed a project to take my mind off the sniffles. 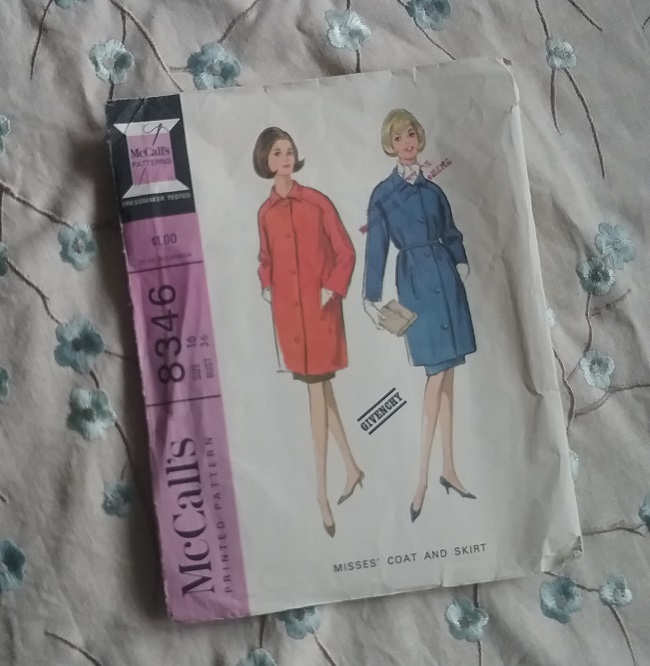 I have had both the embroidered linen and the vintage 1940s rayon plaid for years, and my plan was vaguely for a coat, and I had looked at dozens of patterns trying to decide what design to make. 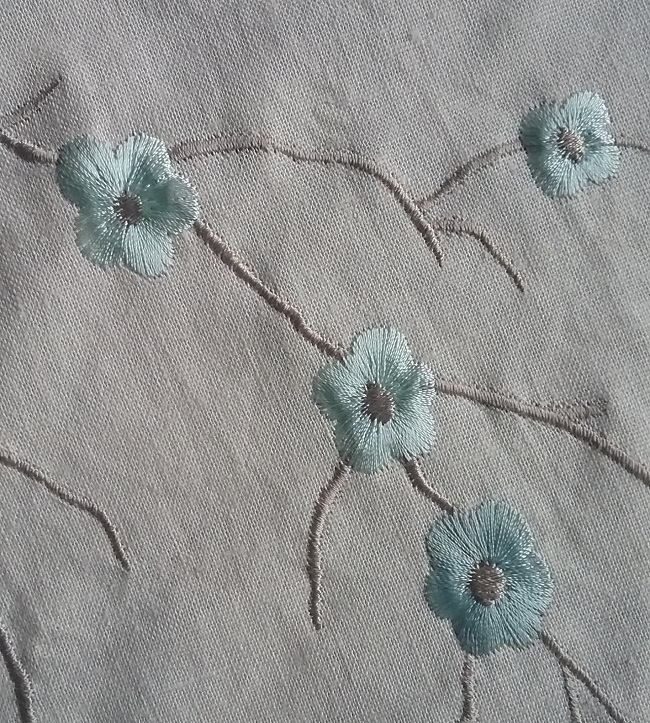 Having an urgent need for a project got me to settle on a pattern I already had – one that I’ve always wanted to make. I have written quite a bit about a series of four patterns that Givenchy designed for Audrey Hepburn to wear in the 1966 film, How to Steal a Million, so I’ll not go into detail about it here. 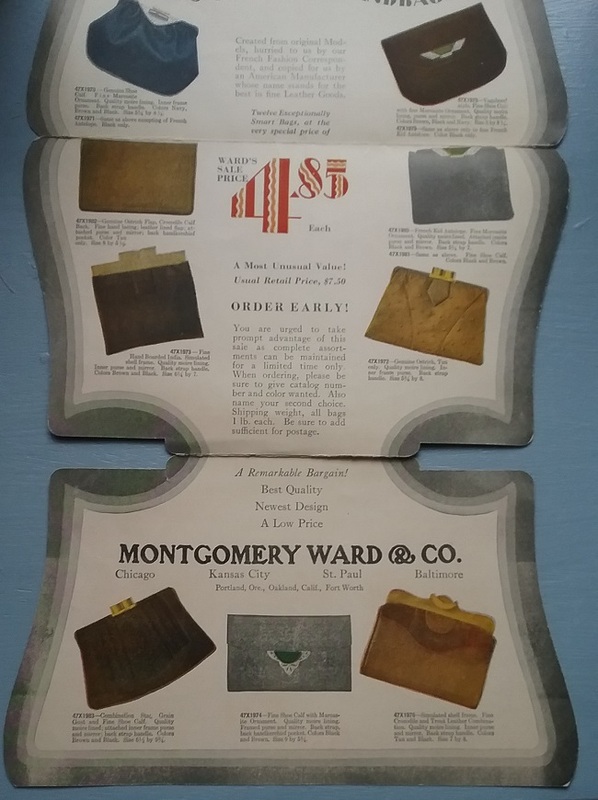 I had made McCall’s patterns from this era, and I have always been pleased with the quality of the instructions. This was the case with this pattern. 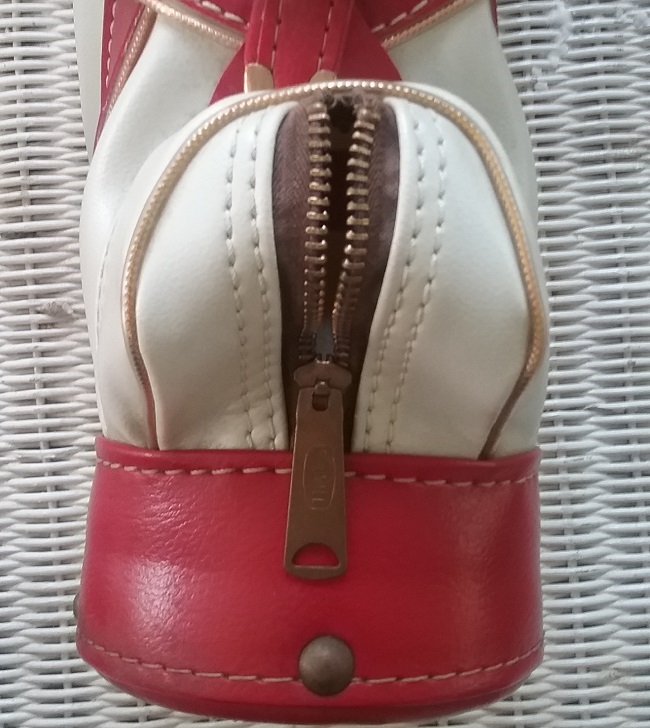 The instructions were straight forward, and the coat went together very easily. I am short, so I shortened the length and the arms a bit. Other than that I made the pattern as drafted. The only thing I’d change is that I would made the pockets deeper. I’m pretty sure that I’ll be making them a bit deeper by adding to the bottom of the pockets. 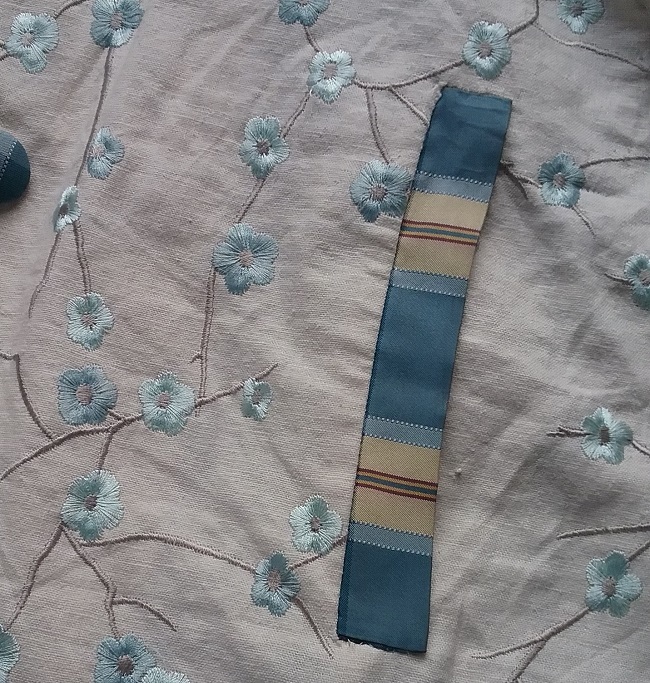 and the buttonholes were a cinch. 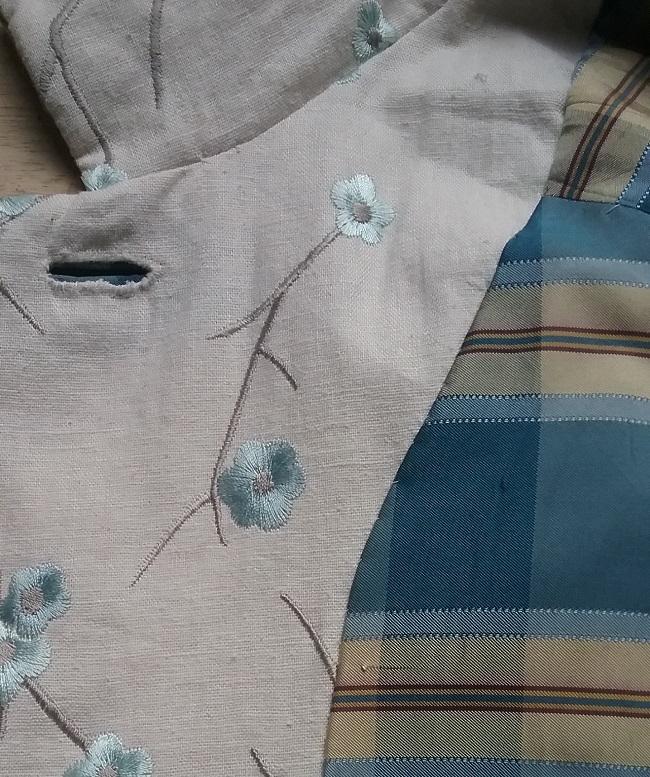 I was concerned about the bound buttonholes because several of them were set into where there was embroidery, but that did not present a problem. 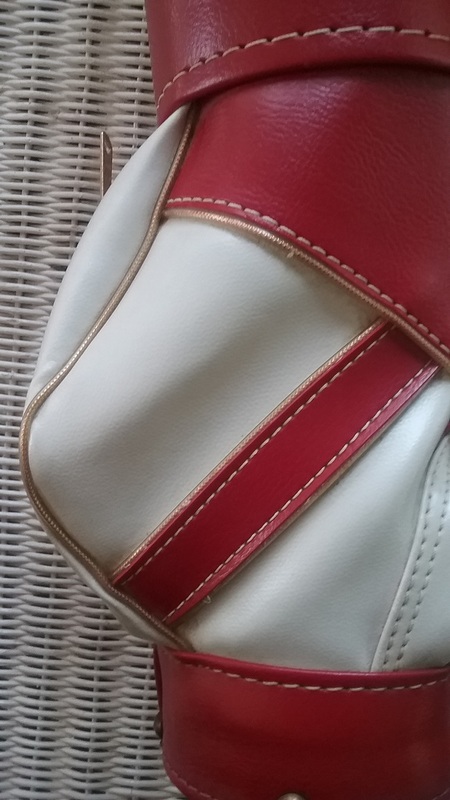 I put the lining in by hand, as I have had mixed result when trying to bag a lining by machine. It all fit together beautifully. Once I got started on the machine, I could not stop. 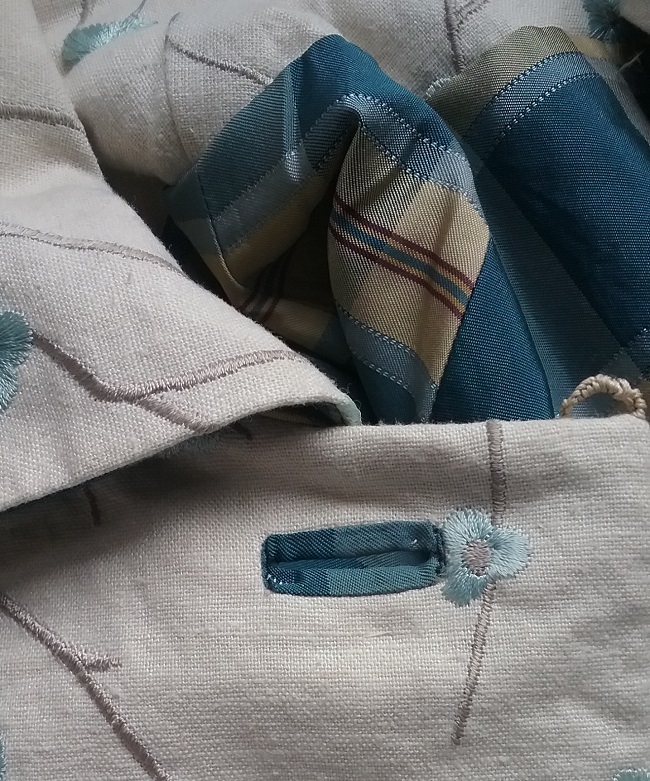 I just could not let the scraps of these lovely fabric languish in my scrap bag. 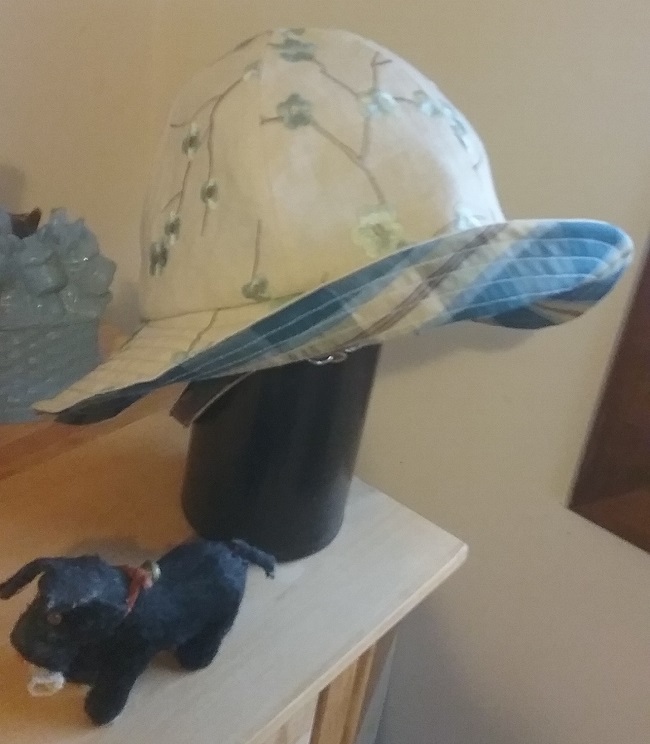 So I did what anyone would do – I made a hat. 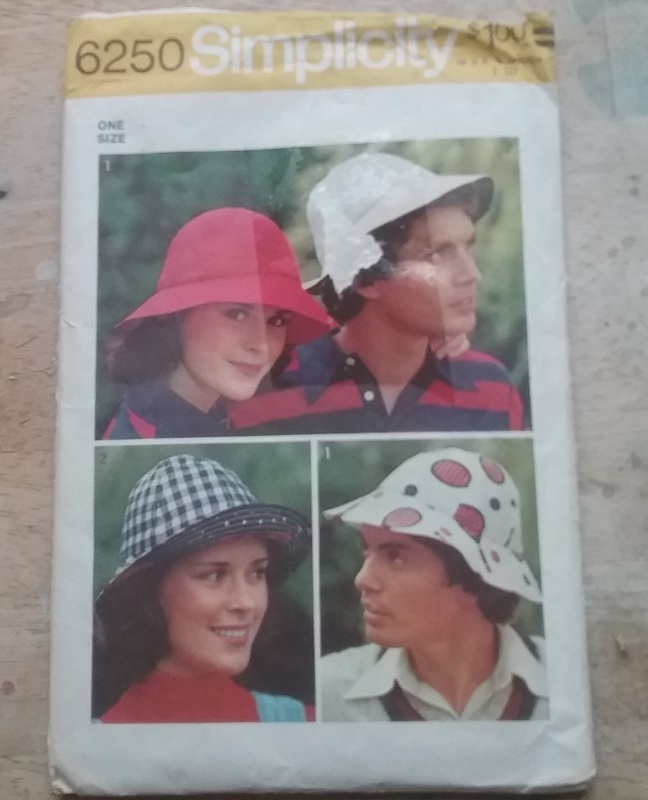 I had made this mid 1970s pattern before, and liked it. It was a quick and simple make. I do doubt that I’ll wear the hat with the coat. It seems to be a bit too matched. 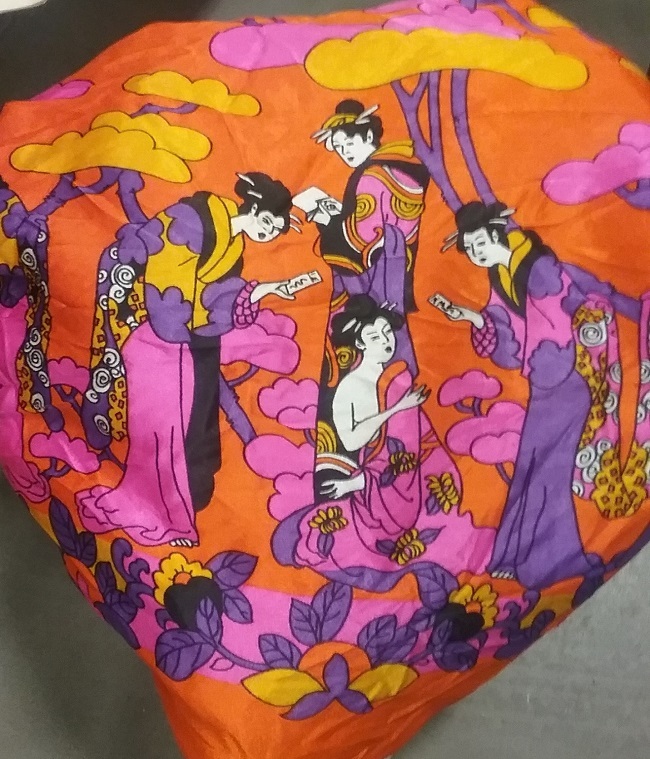 I bought this fabric at a place that sells factory end runs. Even at a discount place, it was not cheap. 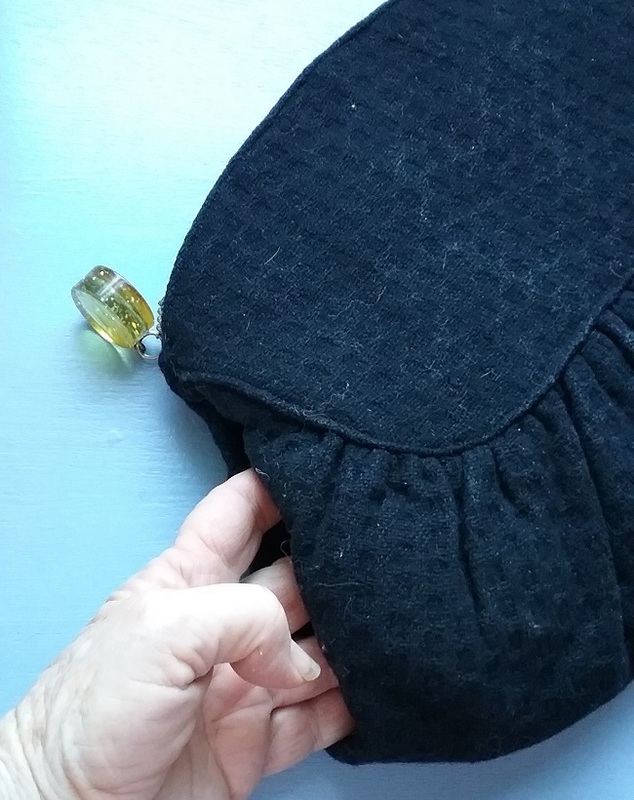 Yes, it does wrinkle a bit, but I am loving wearing it, as it is just the right heaviness for early spring, and it is terrifically comfortable. In fact, I wore it today, a touch of spring on a rather chilly mountain day.